In this condition, a ventricular septal defect (VSD) exists in conjunction with pulmonary vascular obstructive disease (PVOD). 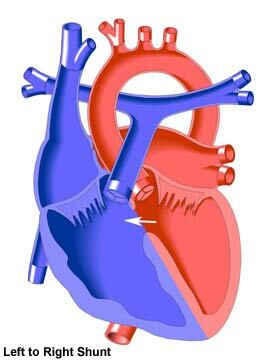 The resistance to blood flow to the lungs involved in PVOD causes a "right to left shunt" to occur, in which blood flows from the right ventricle into the left ventricle through the VSD. (The term Eisenmenger Complex may also be used to describe other conditions in which PVOD accompanies a right to left shunt, such as certain Single Ventricle defects, Patent Ductus Arteriosus, Atrioventricular Canal Defect, and Truncus Arteriosus).